A GREAT ARTICLE in the New York Times by our editor Bruce Headlam about the genesis of Welcome to the New World. 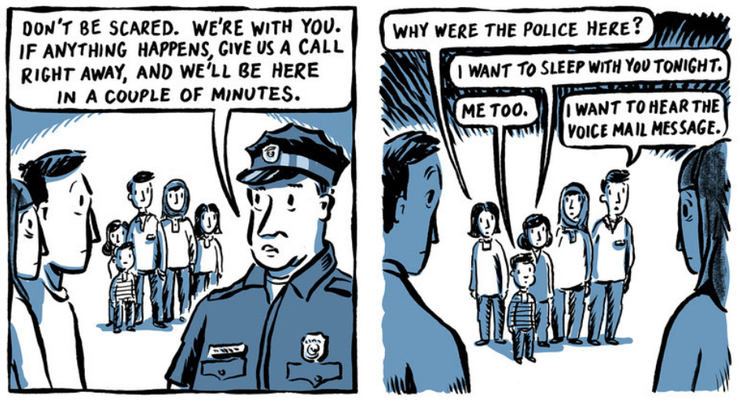 This comic strip by Jake Halpern and Michael Sloan documents the lives of a family of Syrian refugees who have recently arrived in America. It appears frequently in the Sunday Review section.